When singer Anthony David announced that his album of Bill Withers' covers was on the way, we were beyond excited. After all, over the course of his nearly 15-year career, he has repeatedly drawn comparisons to his fellow string-plucking, songwriting bredren. Not that that was entirely coincidental since David has consistently counted the living legend as one of his biggest musical influences. Now after giving us a taste of what to expect in singles "I Can't Write Left-Handed" and "Lovely Day," music fans finally have the chance to enjoy the album in its entirety with the release of Hello Like Before: The Songs of Bill Withers, which hit stores today. On the album, David pays homage to Withers, taking on everything from his most popular tunes like "Use Me" to lesser-known songs like "I Don't Know." Even with the similarities in their vocals, David manages to stay true to Withers' originals while also adding his own flavors to the mix. For instance, "Grandma's Hands" kicks off much like its predecessor before the beat drops, injecting a contemporary vibe into the otherwise solemn song. On the album's title track, "Hello Like Before," David sticks close to the languidness of the original while adding a layer of richness to it, making it perfect for a romantic night in. Other songs to get the Acey Duecy treatment are classics like "Hope She'll Be Happier" and "You Can't Just Smile It Away," both of which benefit from David's gravelly, aching delivery. "I Want You to Spend the Night" probably undergoes the most changes, switching tempos midway through, turning it from a seductive invitation to a lively promise of fun and then some. 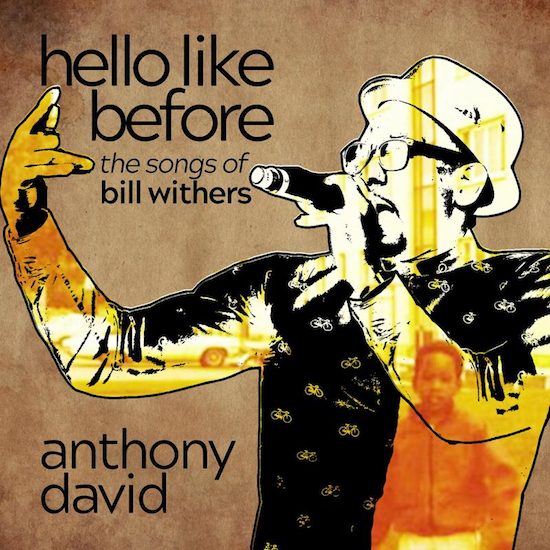 While we had no doubt in our minds that Anthony David would do his thing on the project, Hello Like Before is even better than we could have imagined. It provides a wonderful glimpse into the musical genius of Withers while also allowing fans to wholly appreciate the talents and skills of one of music's most underrated performers.